Follies Past: a Prequel to Pride and Prejudice, and to read it is to step back into the charming world of Jane Austen’s England, to pass a few more hours with some of her beloved characters, sympathetically portrayed as they might have been before ever they came to Netherfield. In Pride and Prejudice, everything hinges on a letter which Mr. Darcy gives Elizabeth - a letter setting forth all his dealings with Mr. Wickham. These facts, supplied by Austen herself, are at the heart of Follies Past. The drama begins almost a year before the opening of Pride and Prejudice itself, at Pemberley, at Christmas. We follow young Georgiana Darcy to London, to Ramsgate and to the brink of a perilous elopement. Along the way, readers will discover a host of new characters, with compelling histories of their own. Authentic in its use of language and meticulously researched, Follies Past is a truly diverting entertainment. 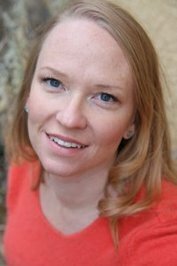 Melanie Kerr studied linguistics, English and theatre at the University of British Columbia and law at the University of Alberta. Melanie is a reckless lover of clotted cream, a staunch defender of the semi-colon and a fierce opponent of unpleasant music. She wooed her current and only husband with false promises of skill at word games and eternally good hair. She lives in Edmonton, where she raises her two sons, sews her own Regency costumes, runs a Jane Austen Fun Club, blogs on all things old and English, endeavours to take over the world and occasionally practices law. Follies Past is her first novel. 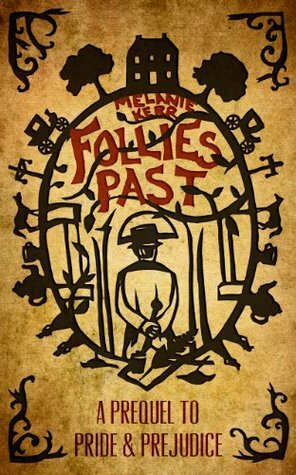 Melanie Kerr has not only penned and published Follies Past, she has also scripted, directed and produced three film-style book trailers, for which she personally designed and created all the period costumes. She also planned and executed a highly successful book launch last November at the Hotel Macdonald, featuring live music, dramatic reading and a real live Mr. Darcy. She is currently planning a book tour to promote her novel, while raising her two young sons and carrying on a busy legal practice. Get your copy of Follies Past at Amazon or Createspace.